Vision: AIR, the Artist-in-Residence Program at Los Angeles Cleantech Incubator (LACI), empowers innovation by uniting the creative and cleantech communities in the shared aim of addressing global environmental problems. AIR at LACI is a one-of-a-kind residency program inviting research-led Los Angeles based fine artists to work alongside innovators and thought leaders addressing climate-related issues. Each year, an independent selection committee chooses three artists from an open call. 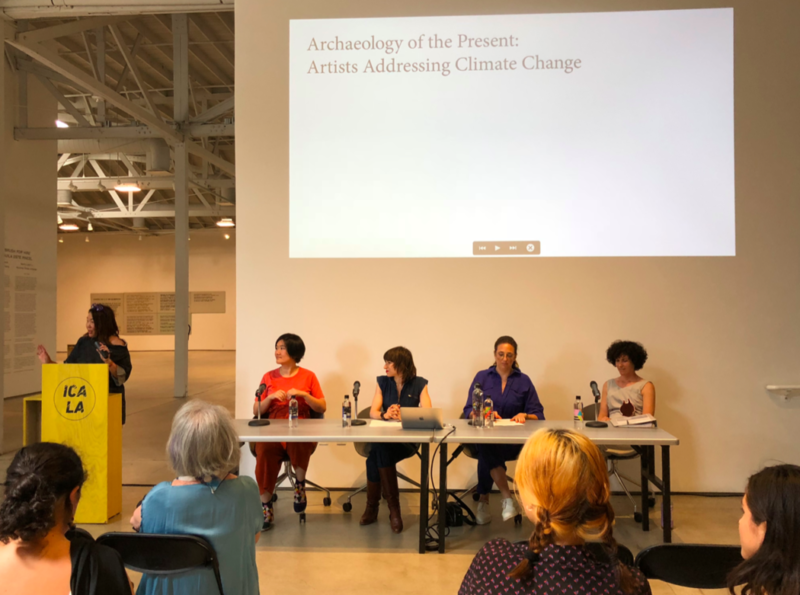 In addition to supporting artists in research and development of climate-related works, AIR empowers creative thinkers across Los Angeles through accessible public events focused on equity, innovation, and cross-sector collaboration. AIR Artist Talk Series presents artists making work about environmental issues in discussion with curators, on the ground activists and academics in the related field. Last year included AIR resident artists Rebecca Bruno, Nova Jiang and Debra Scacco in conversation with Underground Museum Director and Independent Curator Megan Steinman at ICALA; and Carolina Caycedo in conversation with Taylor Thomas (East Yard Communities for Environmental Justice) and Jessa Calderon (performing artist and activist representing Tongva, Chumash & Mexica nations). How Did They Start (HDTS) uses LACI’s unique position as a leading incubator to connect entrepreneurs and artists through their commonalities: curiosity, persistence, vision and the determination to launch seemingly impossible projects. HDTS publicly demystifies the entrepreneurial process by inviting entrepreneurs to discuss how seemingly impossible ideas gain much needed support to launch, survive and thrive. AIR Professional Development programming creates a space for creative thinkers to discuss key challenges in realizing ambitious projects, and build networks of like-minded individuals in an effort to share knowledge and resources. Pictured here is our first even AIR Salon, generously hosted by AIR community partner Small Green Door (Commerce). AIR is dedicated to expanding access to the arts and creative approaches to sustainability. 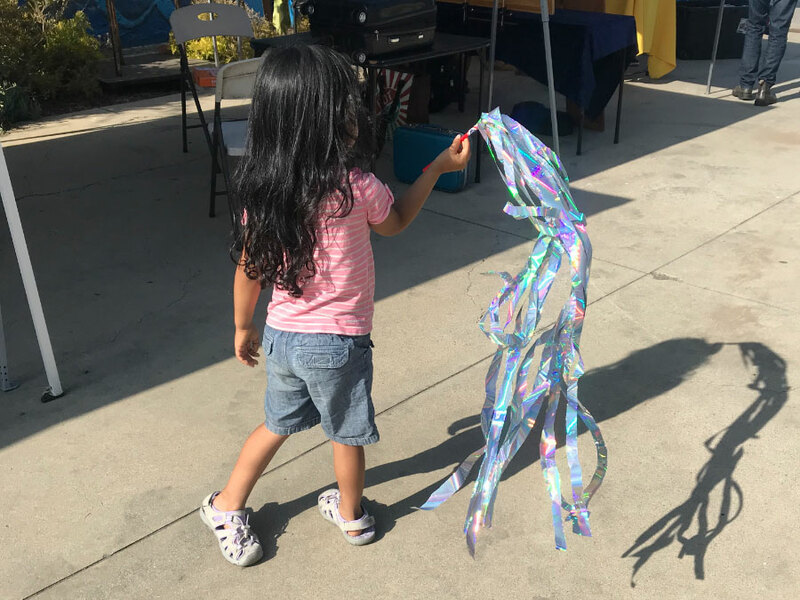 AIR works with educational partners to sponsor creative sustainability workshops, and host studio visits and informational sessions with young people from communities across Los Angeles. Last year was nothing short of extraordinary. In 2016, I visited LACI for the first time. I was making work about the Los Angeles River, and heard about a place in the Arts District that was both home to River LA and a hub for companies developing climate solutions. I never imagined that visit would turn into a new artist-in-residence program supporting thinkers working with climate-related ideas. I vividly remember the first time I saw the Advanced Prototyping Center (APC). At the time, I was making my first works in steel, wrestling with materials in my nearby studio. On entering the APC, I found myself in a shop with all the tools I needed to complete the work about the Los Angeles River I had been struggling with for months. 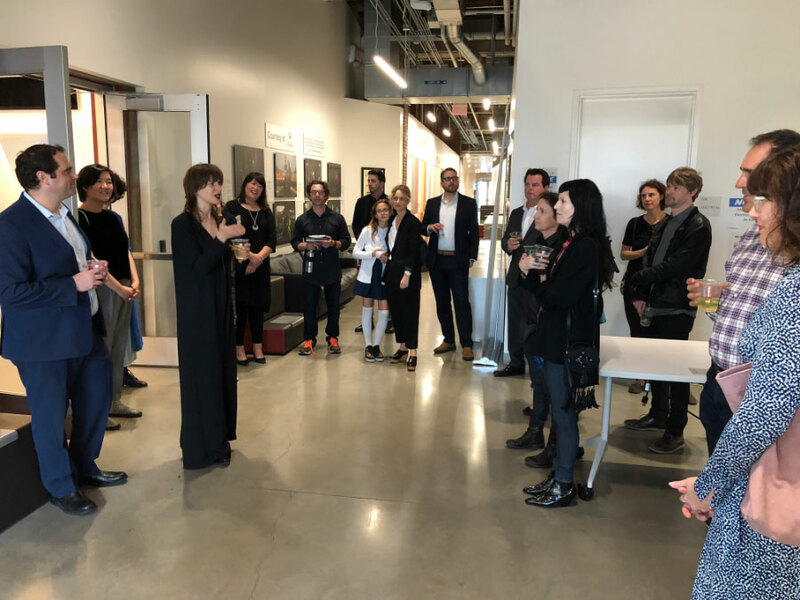 On seeing the facility, recognizing the intellectual capacity on campus, and acknowledging the Arts District location, I suggested I should become LACI’s first artist-in-residence. I expected the idea to be met with at best a shrug, but more likely refusal. I was overwhelmed when the response was intrigue and a long line of curious questions. 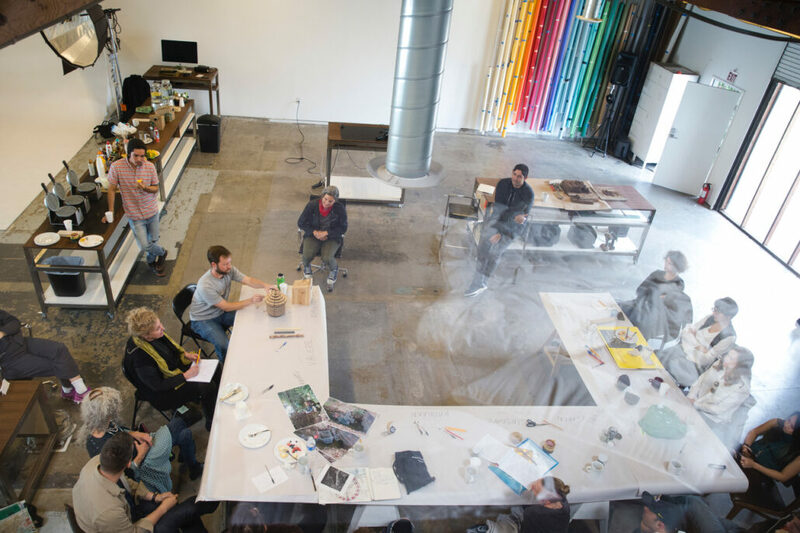 A months-long dialogue followed, articulating why welcoming artists as strategic thinkers is vital to moving forward, why LACI is the ideal home for research-based artists, and exploring the enormous potential of this program. And so AIR was born. I always say this could only happen in Los Angeles. With genuine openness, curiosity and collaboration, thinkers of diverse backgrounds are working together to tackle our most urgent global issue: finding climate solutions. I am in constant awe of the community of thinkers dedicated to working at the intersection of climate, spatial and social justice. And I am constantly thankful for the privilege of being a part of this conversation. I want to personally thank every supporter, collaborator, artist, thinker and event participant who has brought AIR this far. I can’t wait to grow this program with you all, and to welcome new collaborators into this incredible community.